You know, it’s not often, if ever, you find yourself as part of a quote you can use by an author. And even rarer if you can find that in an actual book that is in print. When Annette told me about this, actually phoned me, I was asleep. Fortunately I recognized the name Annette on my display, having been interviewed on her radio show before. To say I was surprised would be an understatement. You never know what something you do does for someone else. My challenge planted a seed for a creative outlet for Annette, and her generosity for others in mentioning me gives me a push to keep going. What makes this even more special is what this book does for others. This program allows for people to purchase a book and send it to a mother in an Iowa prison who then reads the book and records it for her children to hear her voice. The book and the recording are then sent to the child. Annette can tell you more about it and I believe she even offers a way to have the books autographed when they are sent to the women. You basically would send it to her and she would then send it onward. You can contact Annette for the full details. Some people think of people in prison as criminals, but sometimes they are there because of situations. A mother wanting to read to her child is a sign of a wonderful character to me. 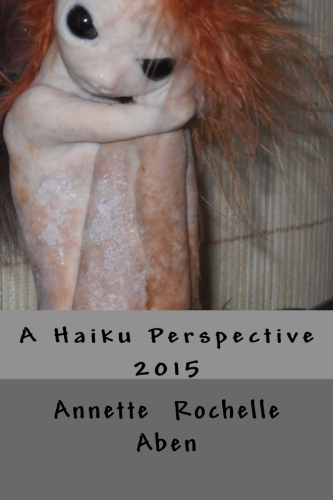 A Haiku Perspective is a continuation of a project of Annette’s. Another of her works is called Perspective. You can visit her book page on her blog to learn more. And of course there is her Amazon Author page with all of her offerings. This has been part of the #BeWoW and Writer’s Quote Wednesday Blog Link share. #BeWoW is me, of ourse and WQW is Colleen Chesebro of SilverThreading.com. Clink the link and share your quote link in her post, and your #BeWoW post here in my comments. Ronovan Hester is an author, with the debut novel Amber Wake: Gabriel Falling due out in December. 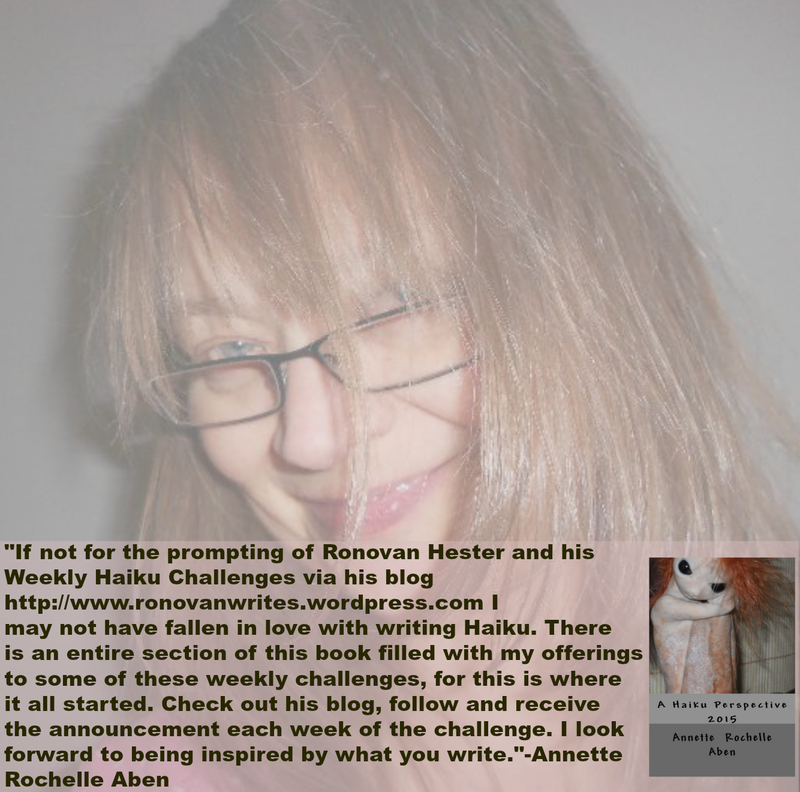 He shares his life as an amnesiac and Chronic Pain sufferer through his blog RonovanWrites.WordPress.com with the hope if inspiring others to overcome and continue on. His love of poetry, authors and community through his online world has lead to a growing Weekly Haiku Challenge and the creation of a site dedicated to book reviews, interviews and author resources known as LitWorldInterviews.WordPress.com. ← Who can I be without my ISP? The storybook project sounds amazing! Wonderful project–they receive the gift of reading and an opportunity to give creatively to their children.